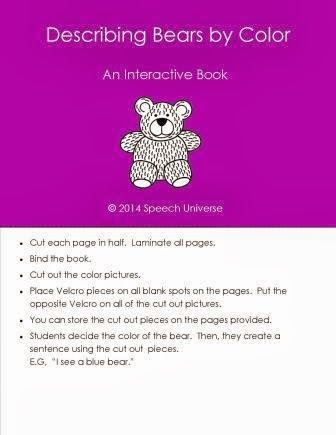 Today, I want to share with you one of my go-to activities with my students with ASD. 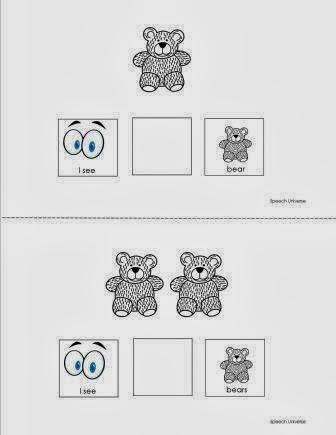 It is a packet of interactive books that are used to answer the question, "What do you see?" 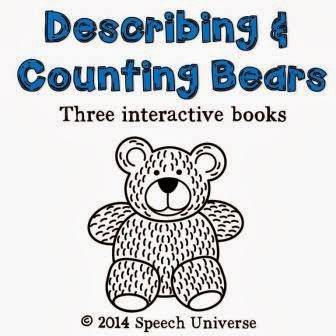 The packet is called: Describing and Counting Bears. You may recognize this book, as I previously had something similar listed in my store. Looking back at it, I did not like how crude it appeared to me (it was one of my first endeavors on TpT) so I have completely revamped it, and added two additional books. These books are interactive books where you can create manipulative pieces with Velcro. 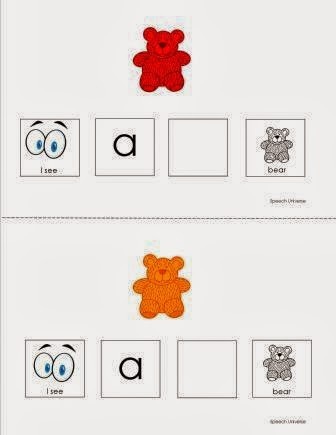 Sometimes I put the pieces on the table for the student. Sometimes I leave the pieces on the storage pages provided. 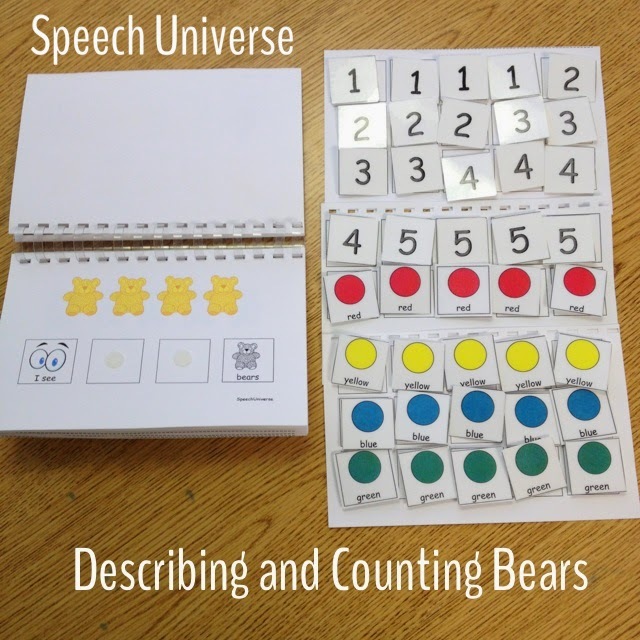 You can get this packet over at my store, Speech Universe on TpT HERE.